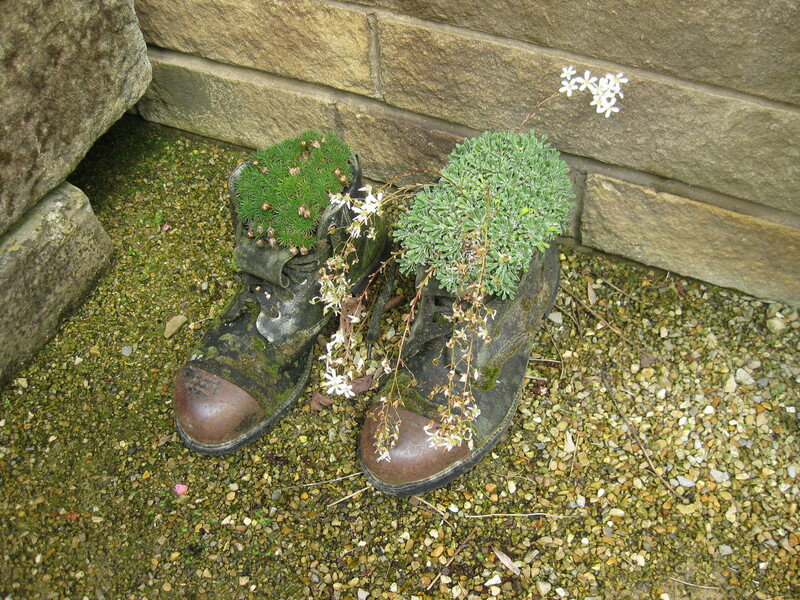 RHS Garden Harlow Carr - Website of wi-ilnargs! 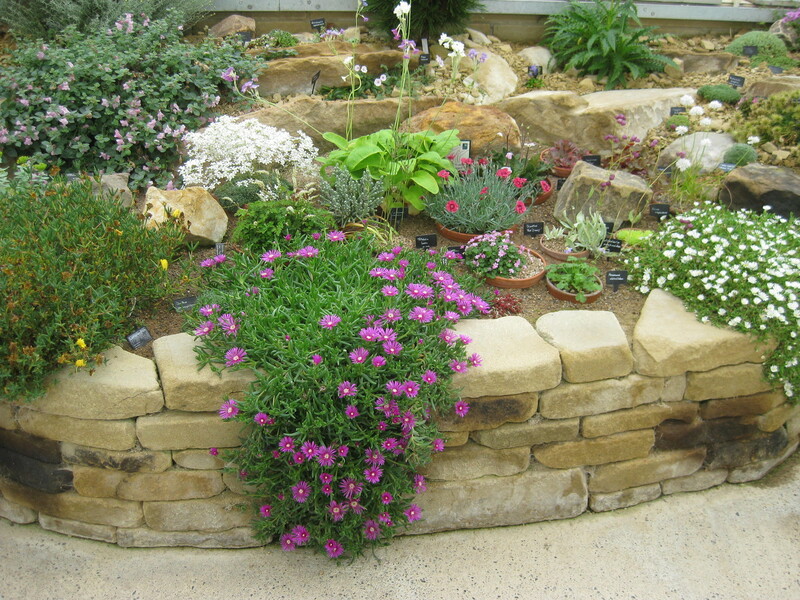 I was one of the 29 ‘garden geeks’ who went on the June 2014 Wisconsin Hardy Plant Society tour of gardens in northeastern England. 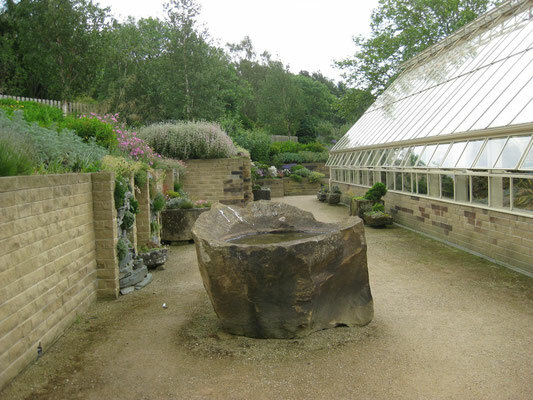 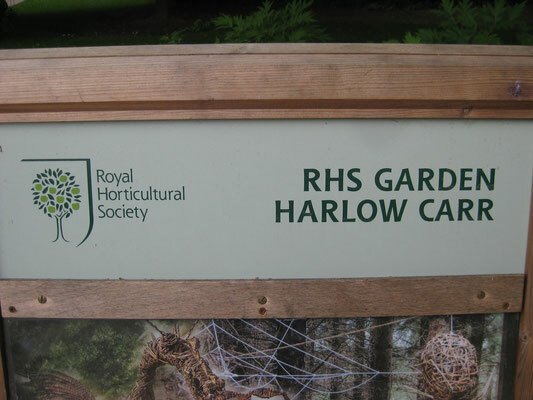 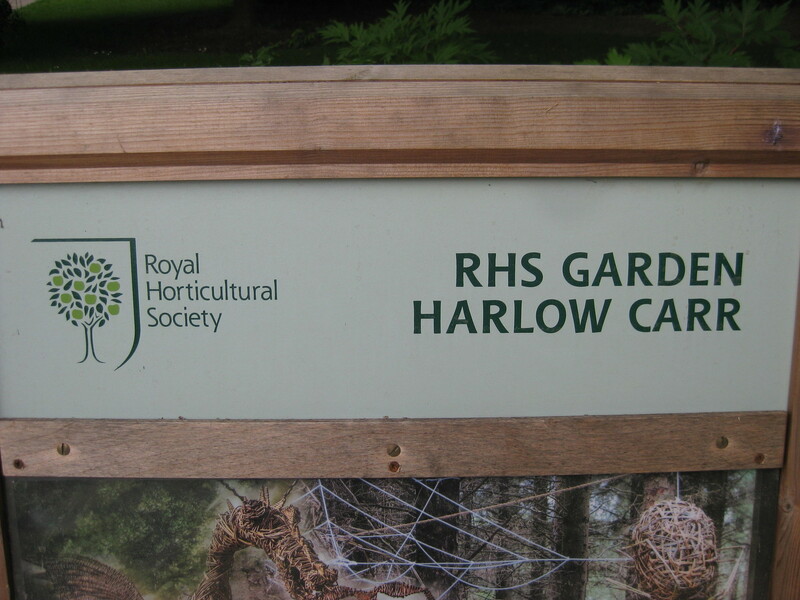 One of the 25 gardens that we visited on the trip was the Royal Horticultural Society (RHS) Garden Harlow Carr in Harrogate, North Yorkshire. 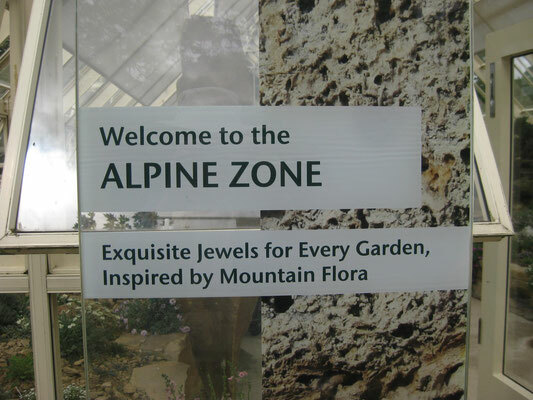 This large public garden consisted of several diverse garden landscape areas, including an Alpine House chockfull of exquisite jewels of the rock garden world. 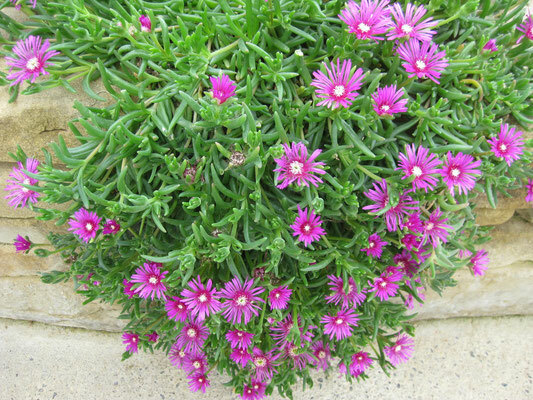 I was especially lusting after the trailing blue campanulas and magenta pink Delosperma. 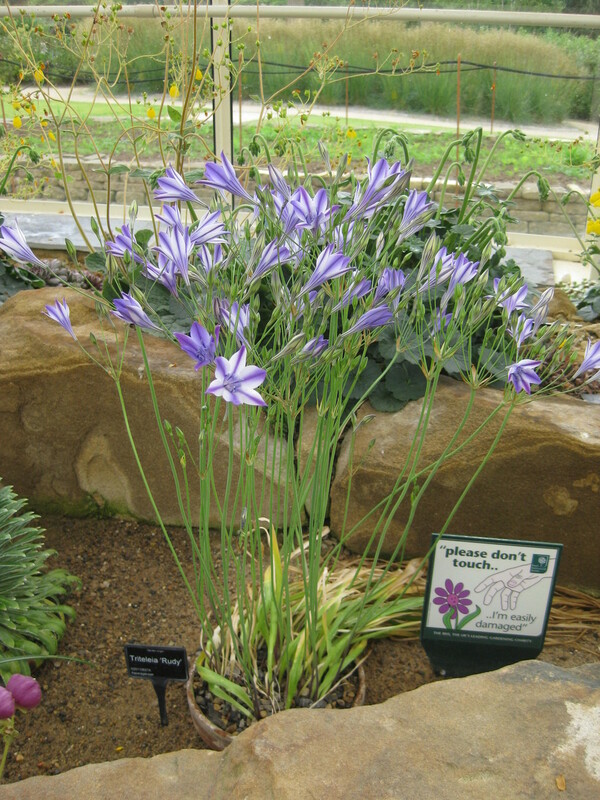 A beautiful blue Triteleia was also blooming – has anyone ever tried growing this plant from a bulb around here? 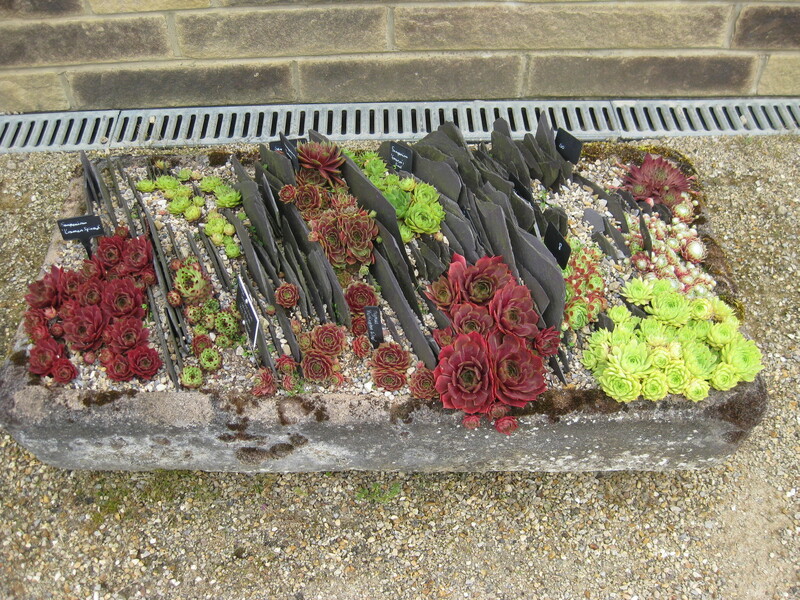 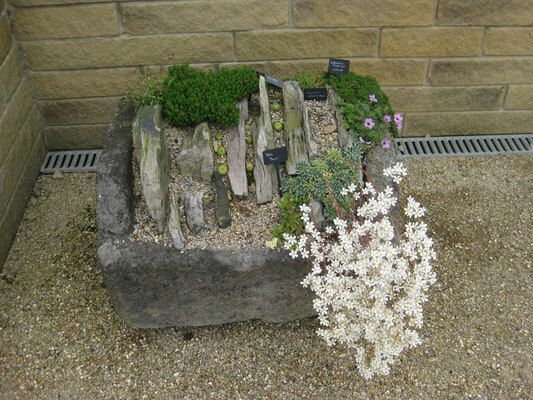 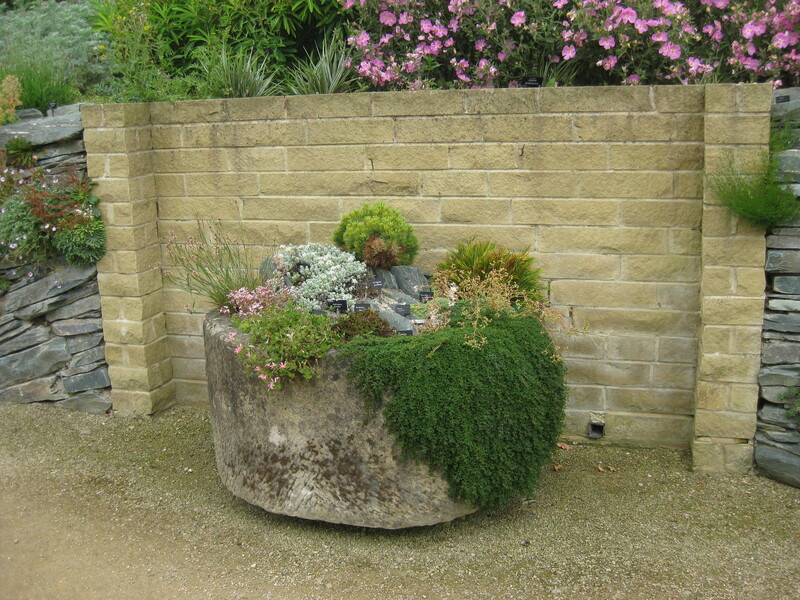 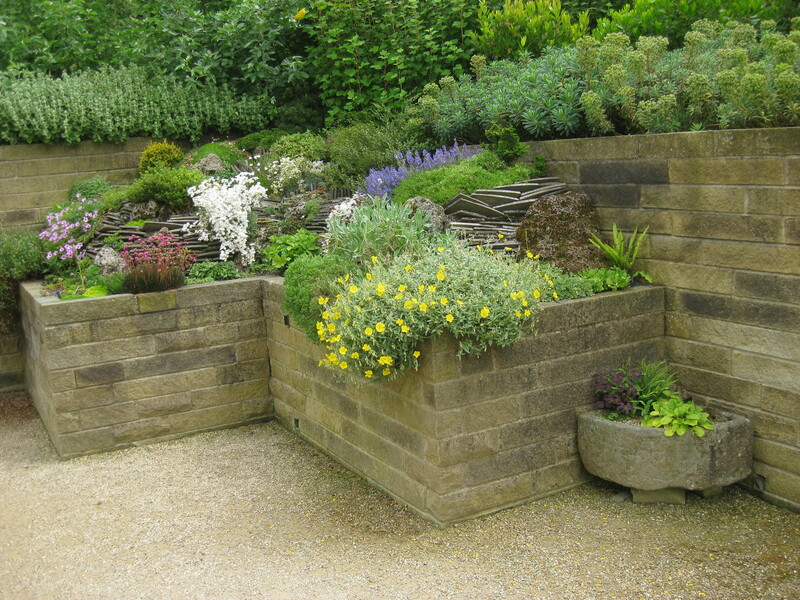 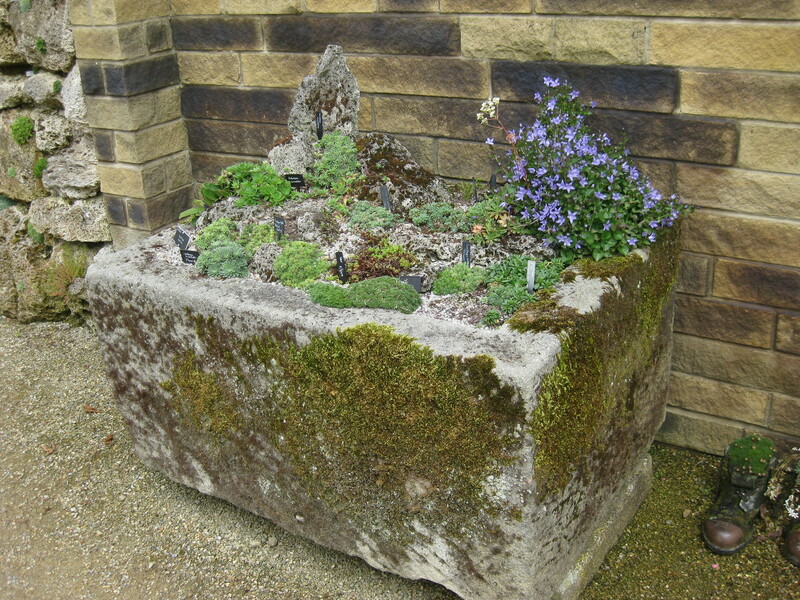 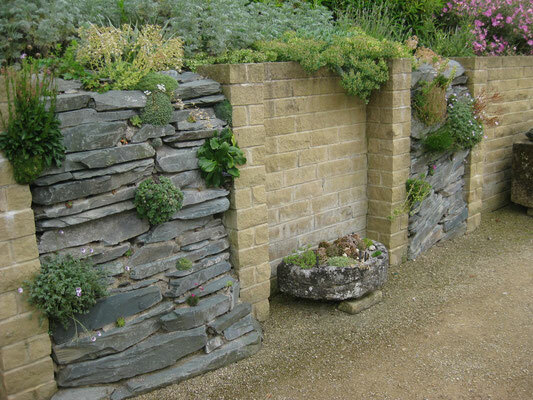 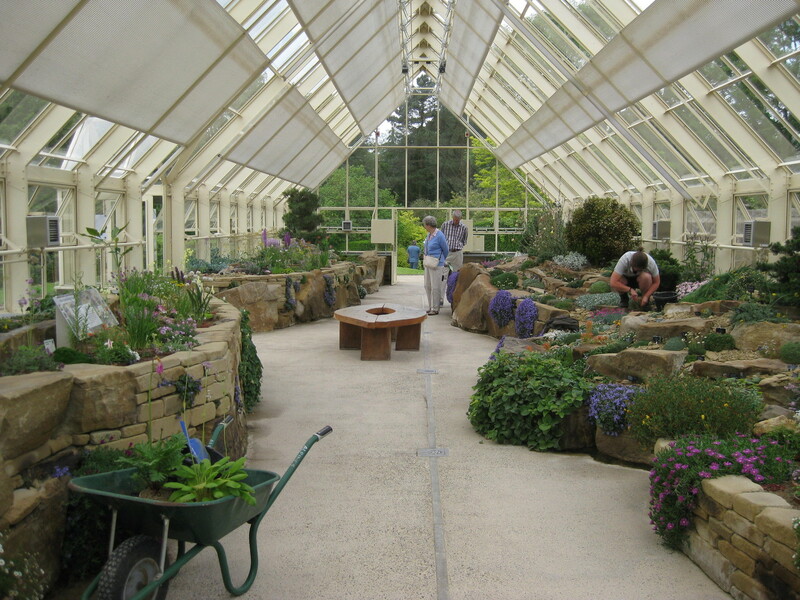 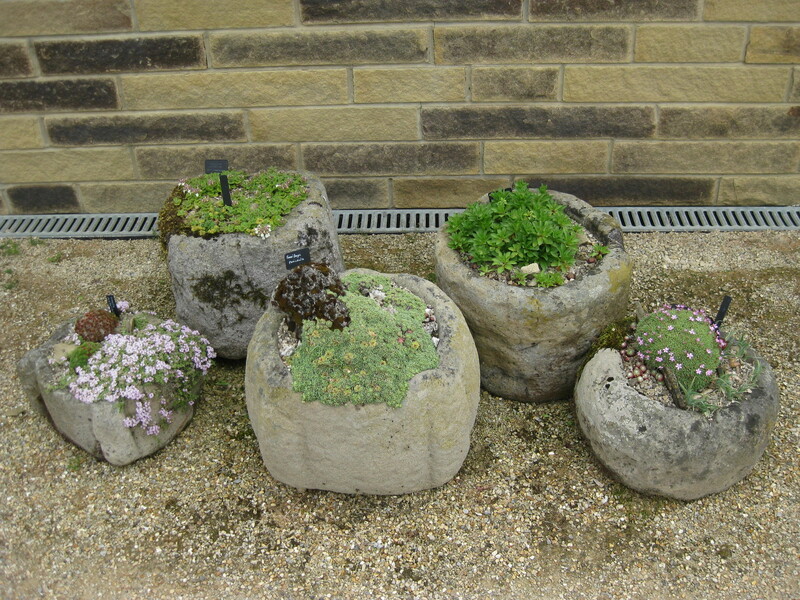 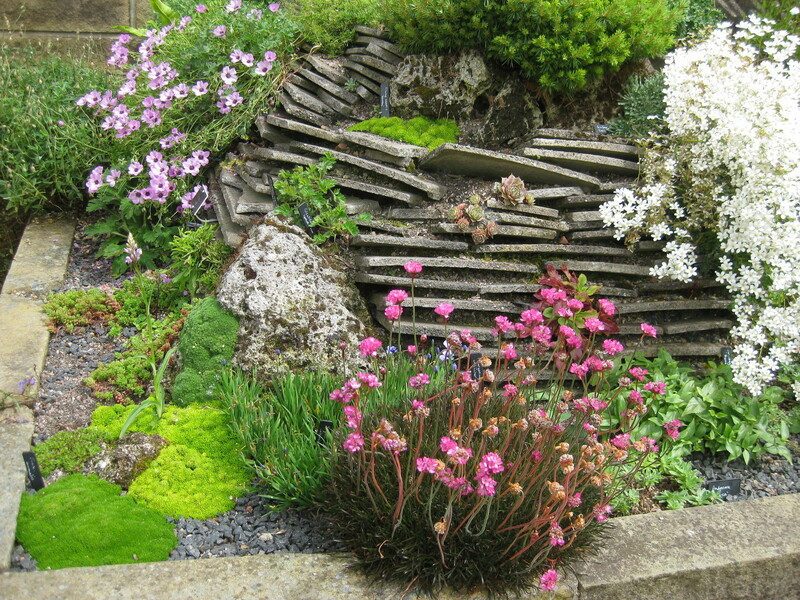 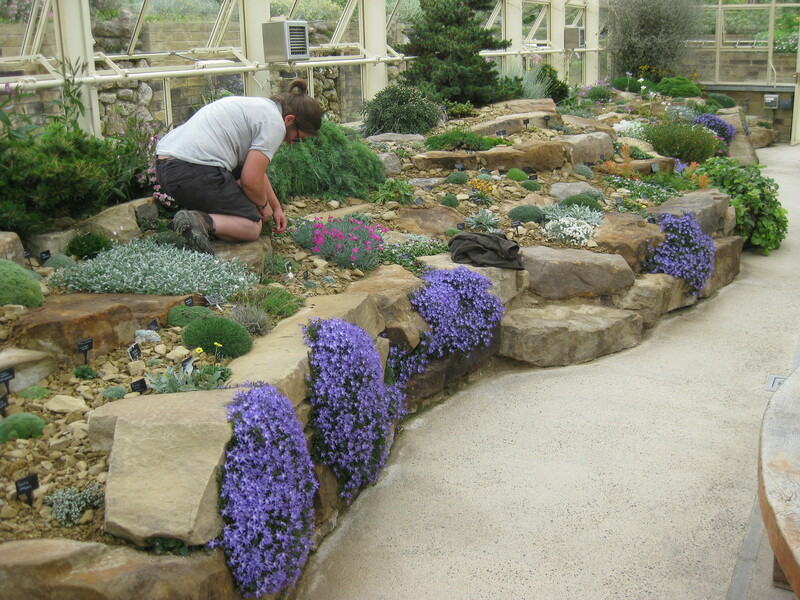 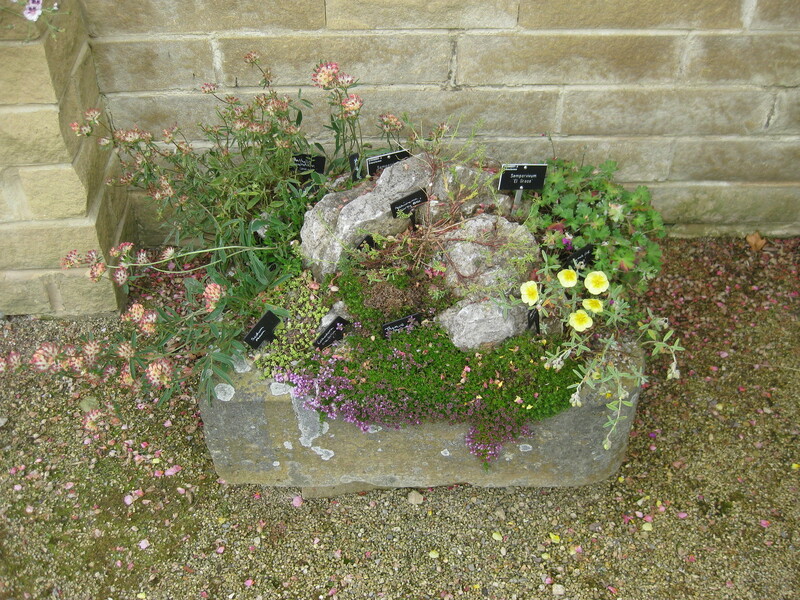 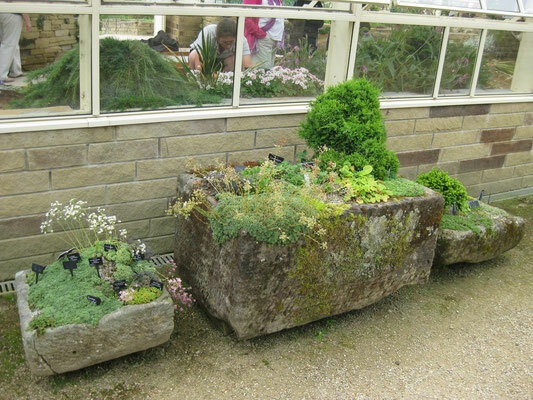 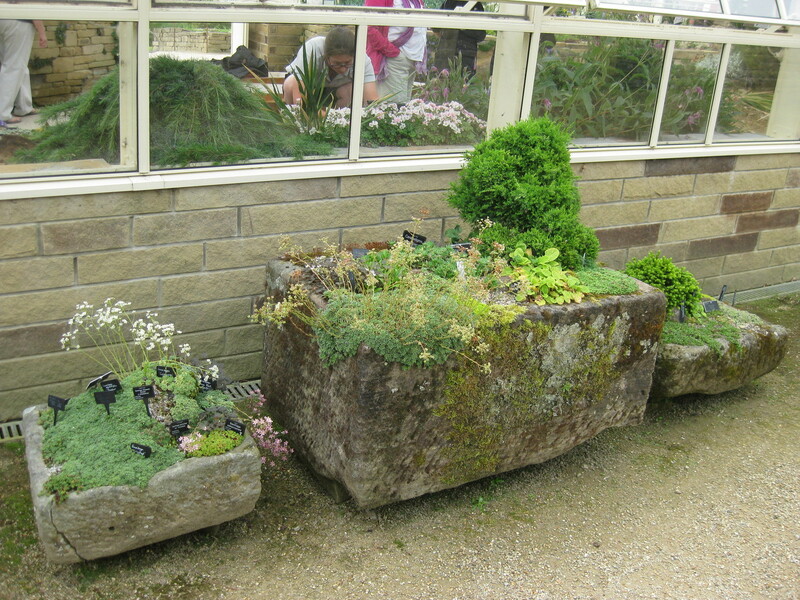 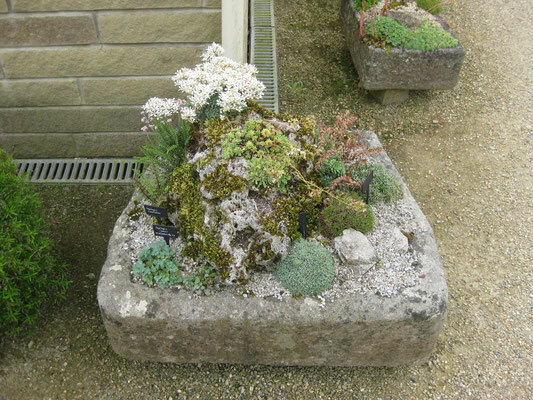 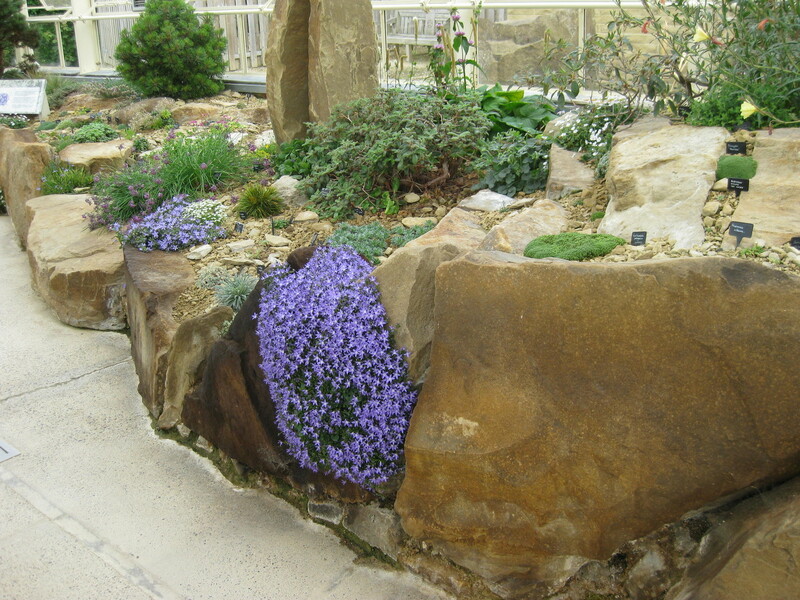 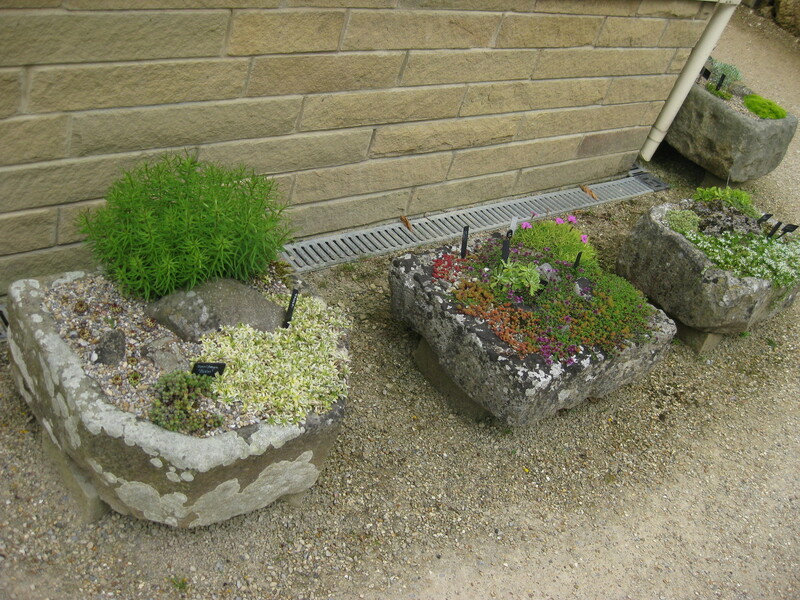 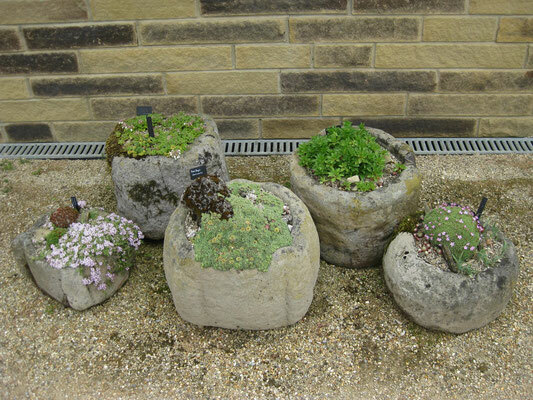 Surrounding the outside of the Alpine House were numerous troughs of all different shapes and sizes, with some containing slate crevice gardens, and all of them looking adorable. 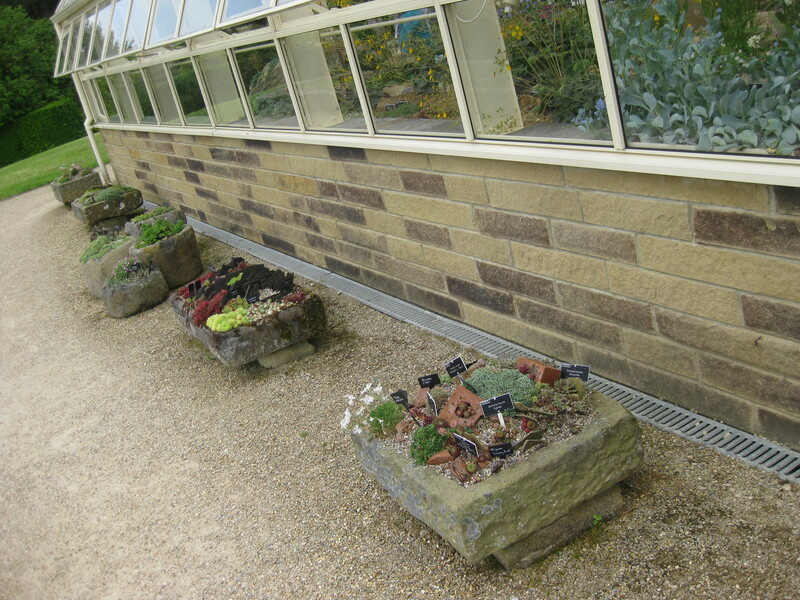 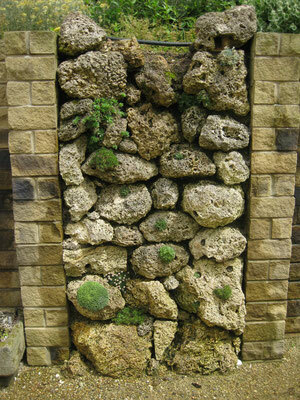 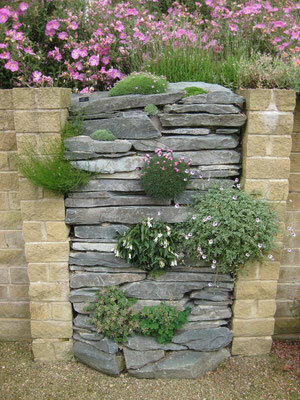 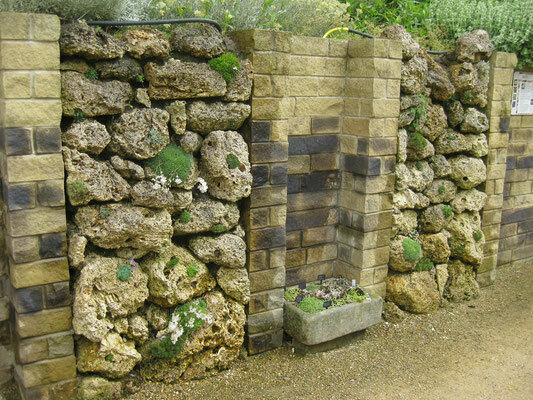 Behind the Alpine House were several vertical rock walls with choice plants tucked in the openings between the rocks and growing down the front of the walls. The Tour de France was starting in Yorkshire, England in July of 2014, and so we saw bicycles everywhere we went. 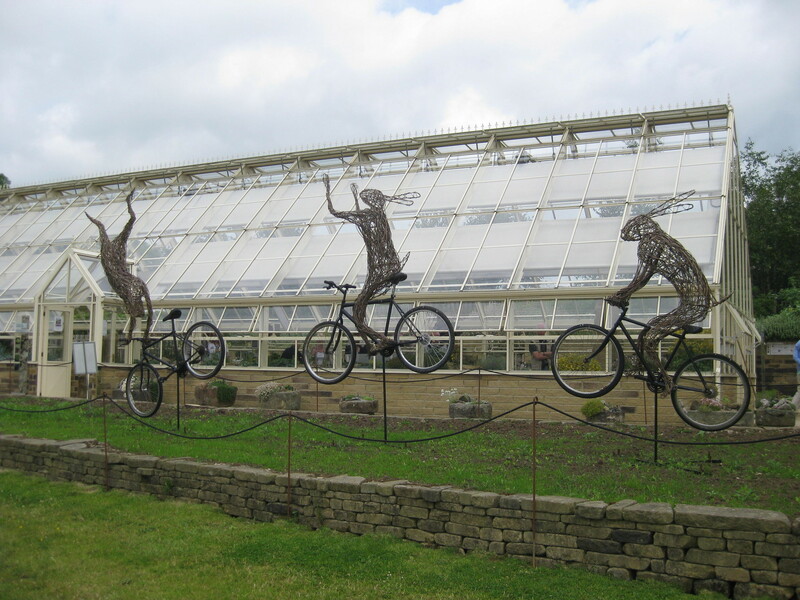 My favorite of the many willow sculptures scattered throughout Harlow Carr were the whimsical willow rabbits riding bicycles in front of the Alpine House.